Whichever innovation finds its way into the bathroom, Dornbracht almost always assumes the leading role in terms of development. Andreas Dornbracht explains why that’s not only important for his own company. 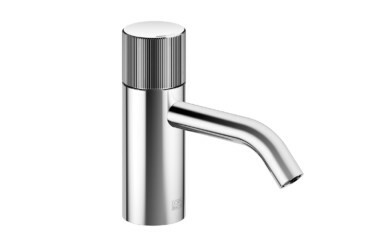 Robert Volhard: It goes without saying nowadays that bathroom fittings are well designed. It is also usual today for the materials and design objects used in bathrooms to make them increasingly homely. Shower trays that are flush with the floor feature a rain shower or sometimes even a RainSky. 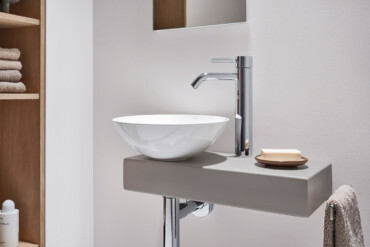 Dornbracht was a pioneer in all these areas. With Aquamoon, two years ago in collaboration with designer Michael Neumayr you created a completely new dimension to the shower experience. Likewise two years ago, at the ISH you presented the development of the bathroom into a health space with the LifeSpa concept. How did the market respond to this development? 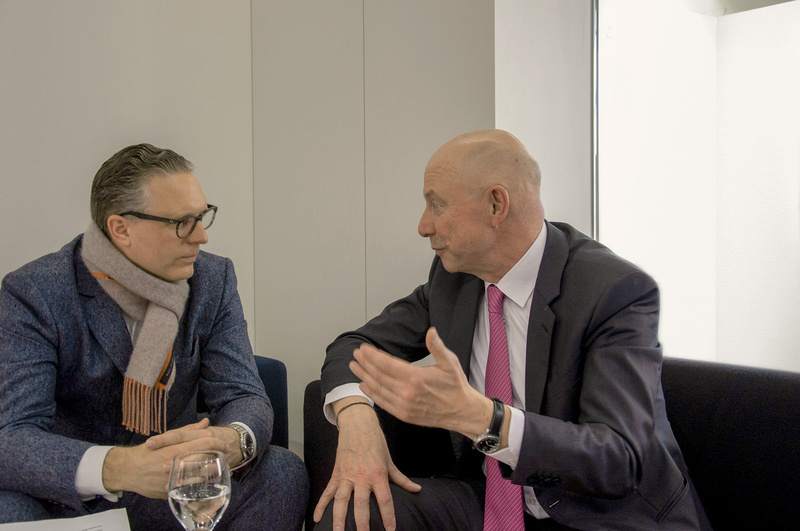 Andreas Dornbracht: When we chose our new brand claim “Culturing Life” four years ago, we were firmly convinced that it was more than just a marketing measure. We began putting life at the center of our considerations. We condensed the findings of this study into three terms: quality of life, life energy, and joie de vivre. These three ideas are very important for us – a kind of guiding star that shows us the way. To return to your question: Although the topic of health, which is of course a precondition for quality of life, life energy and joie de vivre, tops survey lists of what people want, we sensed that retailers only slowly adopted our new concepts. Andreas Dornbracht: Health is a very sensitive subject, and you have to invest time and effort in building up expertise in this field. Architects and designers adopted our ideas relatively quickly. In the meantime however, ever more other sanitary companies are moving into the field of healthcare. It has become a movement in its own right, one that is advancing the evolution of the bathroom. But someone always has to take the first step. The last time we spoke you said that Dornbracht intends in future to enter into innovative partnerships and establish networks. How are things progressing in that regard? 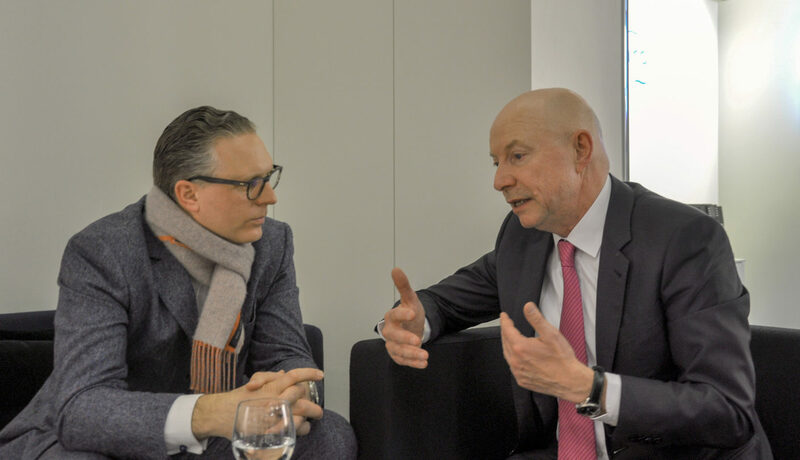 Andreas Dornbracht: We are now in very close contact with other companies in the context of two networks: “Connected Comfort” and “Universal Home.” Among other corporations, Miele, Gira, Schüco, Vaillant, and Revox are active members. Smart home, smart room, smart living – we are now sufficiently familiar with all these buzzwords. But we need these networks to translate these ideas into concepts that retailers, craftspeople, planners, architects and interior designers can really implement. Alone, we are just a voice crying in the desert. Is it conceivable that in five or ten years’ time Dornbracht will not only be manufacturing “hardware,” but also offering any number of wellness programs – à la Apple Music? Andreas Dornbracht: Absolutely! We have made the topic of software – shower programs – a focal point of our development efforts. And we aim to offer these programs in future also as part of the “Internet of Things.” What distinguishes us from Apple is that our “hardware” is a long-term, durable investment item. As such, our goal is to enable customers to realize new functions with the same hardware. Similarly to smart-home concepts, a bathroom that offers spa and health treatments requires considerably more knowhow than a conventional bathroom – on the part of the customer, the architect and the tradespeople involved. How do get that message across and reduce any resulting uncertainty? Andreas Dornbracht: It obviously means for us as manufacturer that we need to get involved in the planning process. For that reason, we approach customers and offer them support with planning and installation as well as the initial set-up of course. In addition we offer system maintenance – but that is chargeable. And we are seeing that the market is noticing these services and end customers are asking for them – albeit to differing degrees. Let’s talk about urbanization. 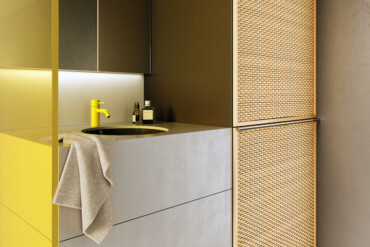 Together with Sieger Design, Dornbracht has developed the prototype for a micro-spa that enables luxurious spa features even in the tiniest of spaces. 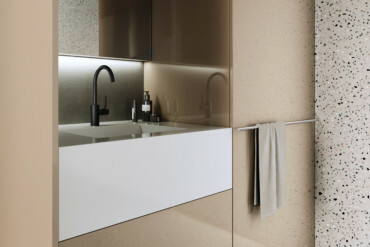 Will Dornbracht in future be engaging in series production of items for the growing micro-living segment? 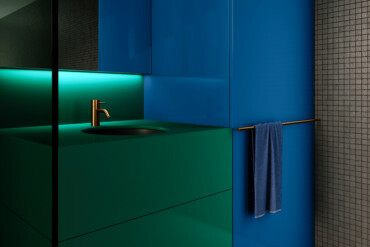 Andreas Dornbracht: The topic of the small luxury bathroom or small premium bathroom with spa features is very important. Today’s global megacities are seeing a clear trend towards very small apartments. There are luxury apartments in Hong Kong measuring merely 35 square meters. And not just because the plots are expensive or the view is impressive. But because there is simply no space. Moreover, the number of single-person households, requiring less space anyway, is continuing to rise. At the same time however, we also have to recognize that precisely in this segment inspiring examples on the part of manufacturers are especially necessary. I’m not saying we have to deliver blueprints, but rather answers to the question: What is possible? What can we actually fit into small areas and in small rooms? And we need to communicate these answers in an inspiring way. 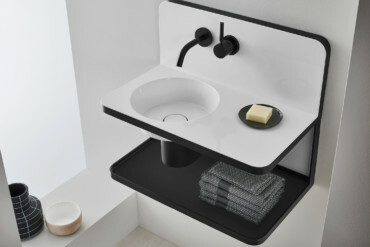 Alape presented an inspired solution for small sanitary spaces at ISH 2019 in the form of “Piccolo.” It calls to mind past times – but reinterpreted. Andreas Dornbracht: What we as manufacturers have to realize is that we certainly have gems in our portfolio, but they need refining. We demonstrated precisely that at the ISH with our “Meta” fitting, which has been part of our product range for 24 years and which we have now revised for the second time. I believe that is a very good strategy – including as regards sustainable product development. And that is what we followed at Alape with “Piccolo Novo” too. Sometimes it is just the finer points that need changing to make a product aesthetic again in today’s world, to bring it back into the present. Dornbracht is now top dog in the absolute high-end segment, where one superlative chases the other – not least thanks to customized products. Do you generally see the trend moving towards a growing bespoke market of “individualization” above the “premium” segment? In other words, is “individualization” the new “premium”? 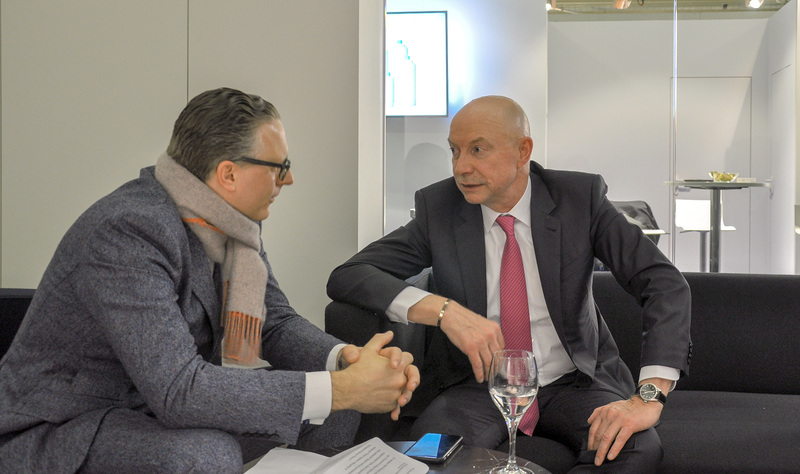 Andreas Dornbracht: I believe individualization will continue to play a major role precisely in the premium or luxury segment. That said, such individualization is not purely status driven. And it is not simply about being able to say: “That’s a one-off.” That may play a role, but I think what is more important is that interior designers are able to offer their customers maximum individuality, be it as regards surfaces and materials or treatments and installation options. 3D printing is set to play a key role in this field in future. 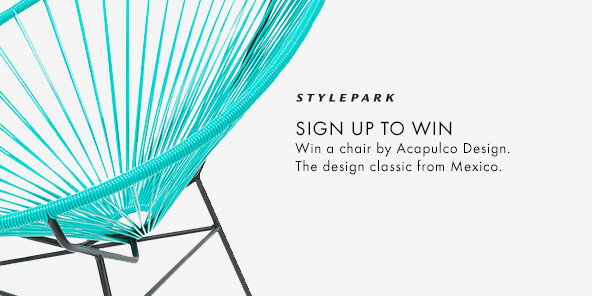 Several of your competitors have for years brought international design stars on board as crowd pullers, designers such as Philippe Starck, Patricia Urquiola or Konstantin Grcic. 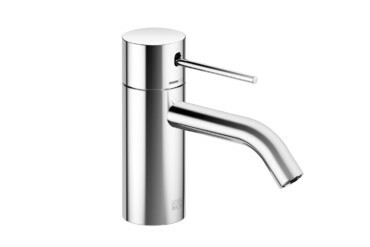 Why do the Dornbracht siblings almost exclusively count on the Sieger siblings as designers? Andreas Dornbracht: There are several reasons for that. The first is of course the immense trust we have built up in one another. That, in turn, is based not least on the fact that we understand each other so well and work as a team, without putting our vanities at the forefront. The second reason is that a well-oiled process has incredible advantages in terms of time and quality for every new product development. Thirdly, we have always said that the brand is at the forefront. We certainly don’t want to ignore the creative part, but we don’t need the designer’s name to promote a product. Finally, the fourth and ultimately most crucial reason is that we are continually developing. Our communication and design DNA is constantly evolving. We are continually advancing it, but we deliberately wish to forgo overly strong ruptures. Because brands are in their continuity extremely valuable. The Salone del Mobile will shortly be opening its doors in Milan. After a ten-year break, this year will again see a Dornbracht cultural project with Mike Meiré: the Dornbracht Research Lab. Andreas Dornbracht: Me too (laughs). We want to cross boundaries that honestly we haven’t had the courage to cross before. Virtuality is also key, new forms of experience that we want to develop and make accessible in the future. And when we say Research Lab, actually conducting research is always the focus. Not just for us, but ultimately for our entire industry. Because if we are pioneers, as for many topics in the past, this pioneering role always also plays a role for the industry and not solely for us. That’s what it’s about in the broadest sense. It was many years ago that artists opened our eyes – to peoplein bathrooms. To the fact that in the end people are the primary factor, their wellbeing, health, beauty. That is essentially the most important finding from the numerous cultural projects we have realized. New topics are surfacing today: digitality, virtual reality, augmented reality – entirely new experiences that people can have. And for us, the question thus arises: How can these technological possibilities reinforce, support, change experiences in the bathroom? 9 to 12 April: 10 a.m. to 9 p.m.
13 and 14 April: 10 a.m. to 7 p.m.